Made the pastry case and filled with sautéed Sweet Peppers and Sweet Potato Puree. 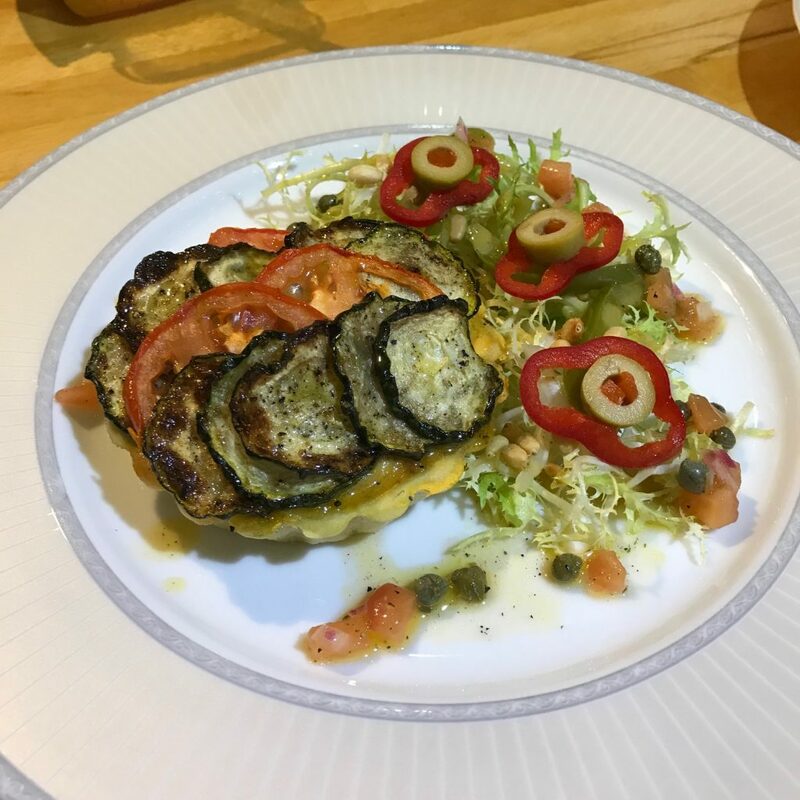 Topped with char-grilled Courgettes and Tomatoes. Baked in the oven until cooked. Served with Curly Endive, Peppers and Olives with a Tomato and Caper Dressing. Made a Potato Dahl and added blanched Cauliflower. 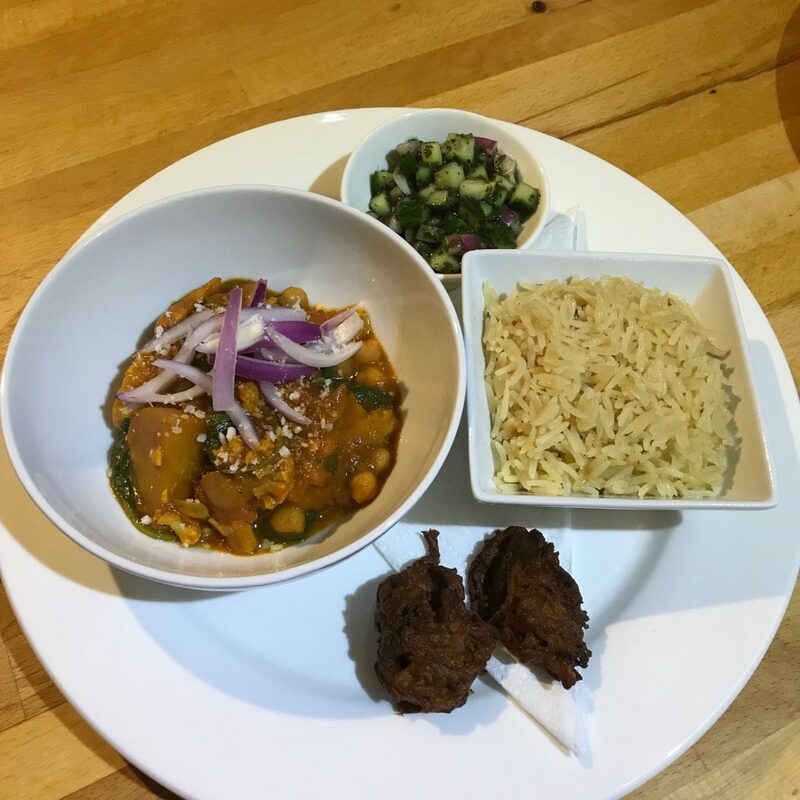 Served with crispy Garlic Pilau, Cucumber, Onion and Mint Salad, Onion Bahjis. The curry was finished with sliced Onion and Coconut. Pan-fried the Pineapple until coloured added Dark Brown Sugar to create a Caramel and finished in the oven. Remove the Pineapple, added Malibu, Dark Rum and Coconut Milk and reduced. 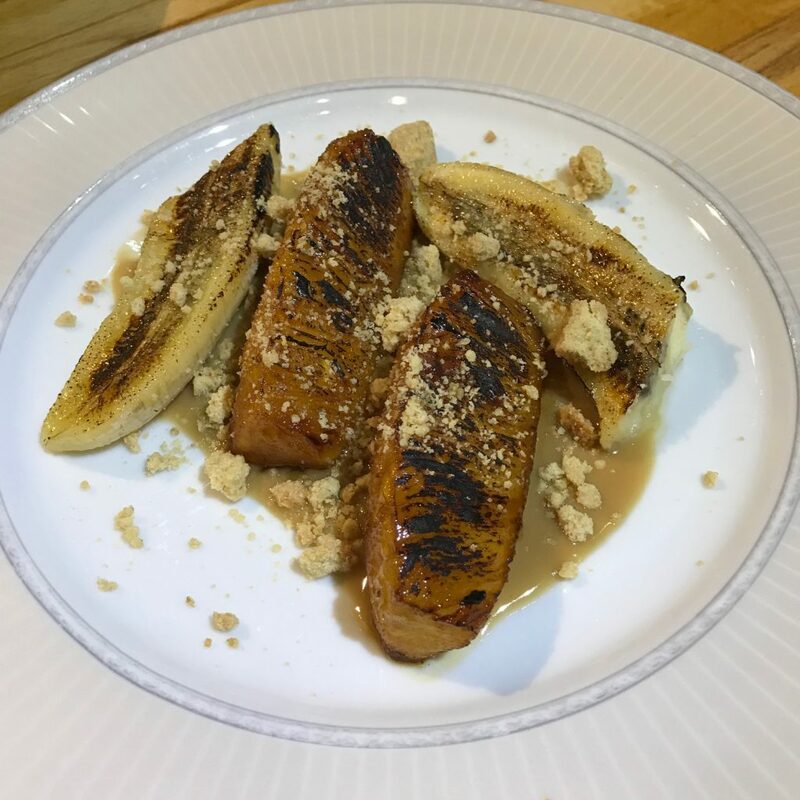 Served the Pineapple with grilled Banana and Crumble.